Of course, there are many reasons for this, the energy companies will list dozens of reasons why everything is beyond their control. This is of little comfort to the rest of us that have seen energy bills increase beyond all recognition in recent years. There’s lot’s of talk about moving suppliers and there is definitely money to be saved if you shop around but in all honesty, the only way we are realistically going to save money is by reducing energy consumption. Energy efficiency schemes will help to reduce energy consumption. I’m not an authority on the Green Deal but hopefully all householders, particularly lower-income households or those in rented accommodation may be able to benefit from energy saving measures that are paid for by reduced energy bills. Personally, I think there needs to be a lot more publicity when it comes to the Green Deal. Many people will be scrambling around today and trying to switch from Npower and British Gas when the real way to reduce energy bills lies is to reduce energy consumption. 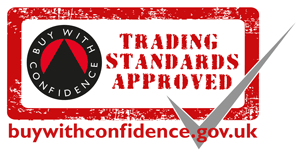 Energy saving measures are good news for approved installers, creating more demand for qualified trades people such as Registered Gas Installers that are needed to install energy efficient gas boilers. 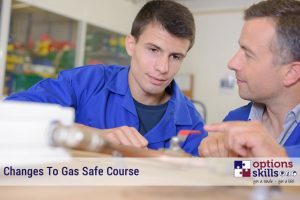 Options Skills offers a choice of gas training courses that are designed to help new entrants become a gas engineer, gain qualifications and gas safe registration. Of course, it’s not just gas engineers that will benefit, there is a whole range of energy saving measures across a variety of trades and industries. A big outlay upfront has traditionally put many people off investing in energy saving measures. Schemes like the Green Deal need to be promoted by government and left alone by politicians. This will encourage businesses to establish themselves as Green Deal providers and in turn create opportunities for installers. If you’re wondering, I am not a Green Deal provider just a fed up consumer!